First off....big Cyber Hugs to my friend, Tara. She's the best and so encouraging!! Just wanted to send a warm (((cyber hug))) to her. How busy have you been this week? For me, not too busy with crafty things. We sent our French friend home yesterday and we were trying to squeeze as much fun into her last few days as possible. Here are the few things that I made. Well, this one was actually mostly made by my momma. She's the best, y'all. I don't know what I'd do without her. 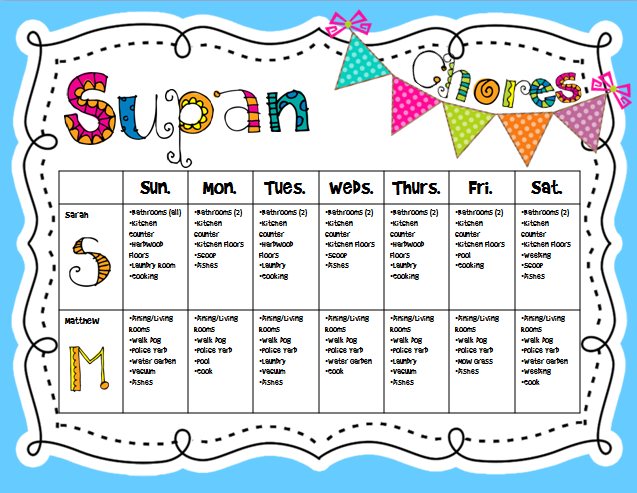 The only other thing that I can remember that I created for this week was a chore chart for my kiddos at home. Now, this chart looks like we make them do everything. We do. Don't judge. Anyway, that's it for now. I've been busy trying to get my house back in order after taking the month off to goof off with our visitor. Back to business now. I'm sorry for the lack of educational posts lately. It looks like all I do is shop and craft. I promise that as we get closer to the start of school, things will get better. I've read and learned a lot this summer that I am ready to share. I love the chair cover! What type of fabric did she use? And the chore chart is amazing too! I need that for my kids. I love the chair AND the chore chart! 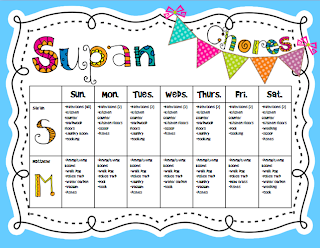 What is the cute font you used for the title on the chore chart? I love it! The font is Brady Bunch Remastered. Love the chair! So cute. 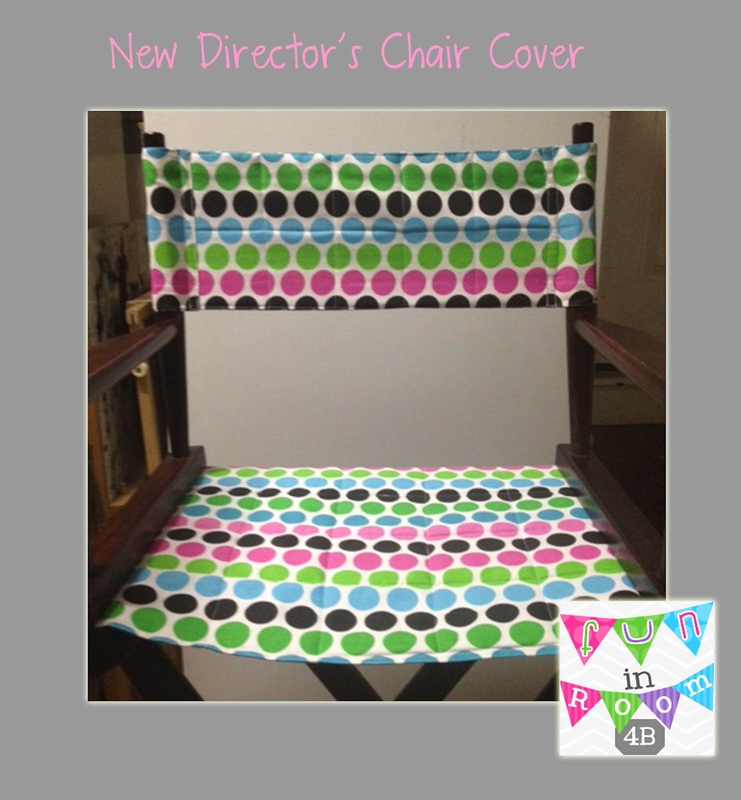 My momma is working on my director's chair too! Where in the world did you get that fabric, and what kind of fabric is it? Hobby Lobby...it's a thick fabric, but we lined it, too, with some batting. 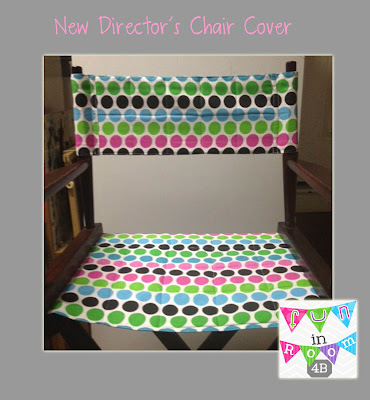 Love your director's chairs! I have two, but never thought to have new covers made! I love your blog and I'm your newest follower. I also teach fourth grade and just started blogging 4 days ago! I'd love for you to come by and visit! Holy wow do I love that chair!! Tell your momma A ++ Do you by any chance know what patten she used to make it? We didn't use a pattern, we just used the old cover as a guide...measured twice before cutting :) Hope this helps!